Mrs. Harriett Anspach says she read that the Log Cabin Sunday School was in need of papers and wonders if they would have any use for holiday cards if she were to send them. 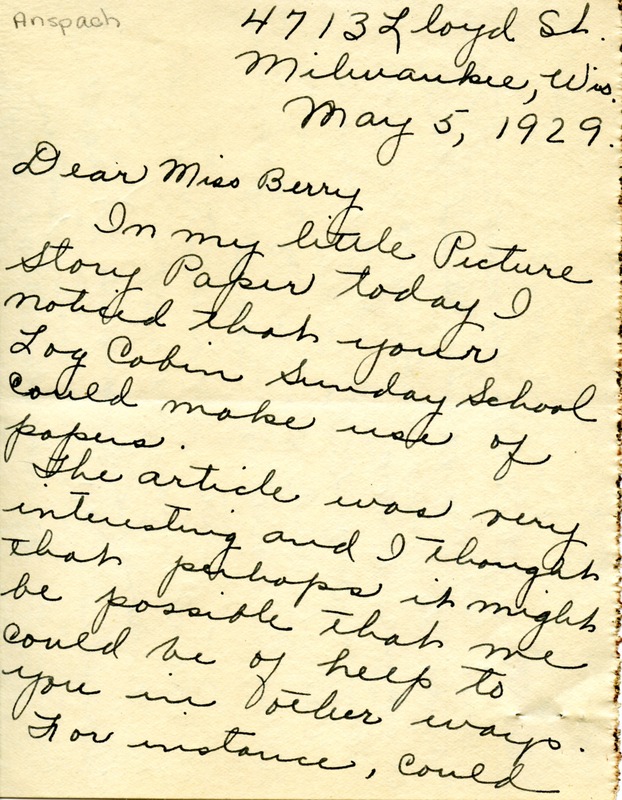 She also asks Miss Berry to write and tell her of the other needs of the school. 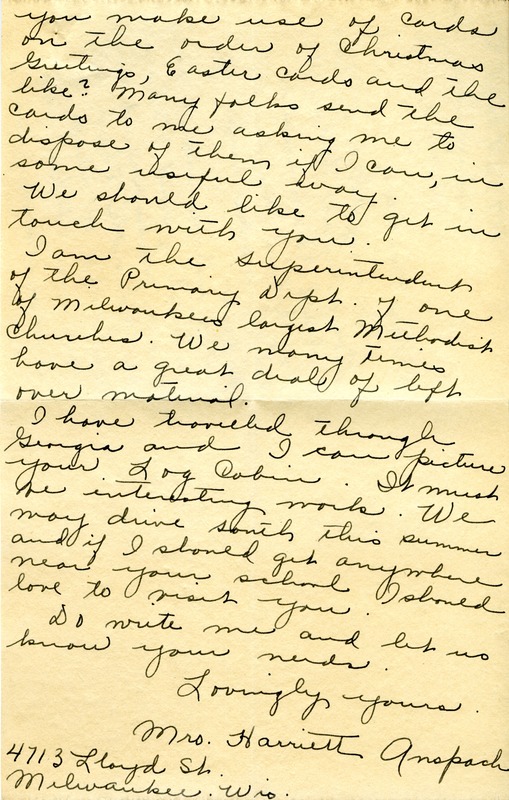 Mrs. Harriett Anspach, “Letter from Mrs. Harriett Anspach to Martha Berry.” Martha Berry Digital Archive. Eds. Schlitz, Stephanie A., Kelli Kramer, et al. Mount Berry: Berry College, 2012. accessed April 21, 2019, https://mbda.berry.edu/items/show/9433.